Use Thrive Cornmeal to bring a touch of good ole' southern cooking to your table. Thrive Cornmeal is an essential product for making homemade cornbread biscuits, cakes, and dumplings! 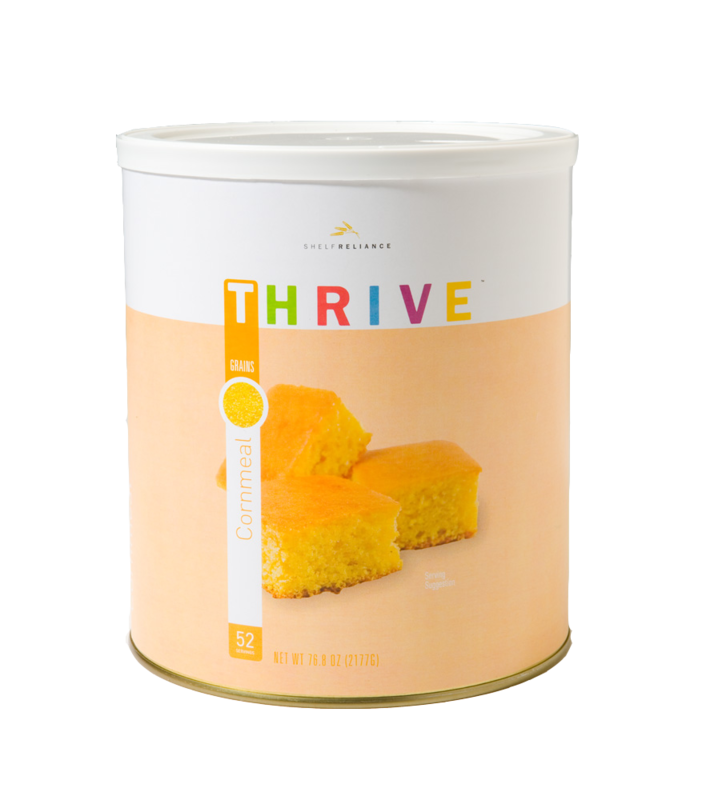 Thrive Cornbread is easy to use--simply follow the directions on the can for a perfect loaf of cornbread. We all know it's great for cornbread or to coat pizza crusts, but try it out in cornmeal muffins or homemade polenta. It's also helpful for coating poultry before frying it.